Lips can say so much even when no words are spoken.The way lips look can affect the expression of the whole face.So,what makes a person's lips beautiful or attractive? You might assume that it's a case of "you know it when you see it," but research tells us that certain characteristics are increasingly identified with lips we consider beautiful: natural-looking fullness; well-defined borders; a soft,smooth appearance. 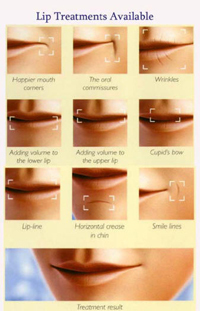 Lip fillers work in several ways to give you a natural, beautiful, long-lastingresults you want immediately. Enhancing your upper and lower lips,adds natural-looking fullness and balance to the body of your lips-it's the most common enhancement women seek. 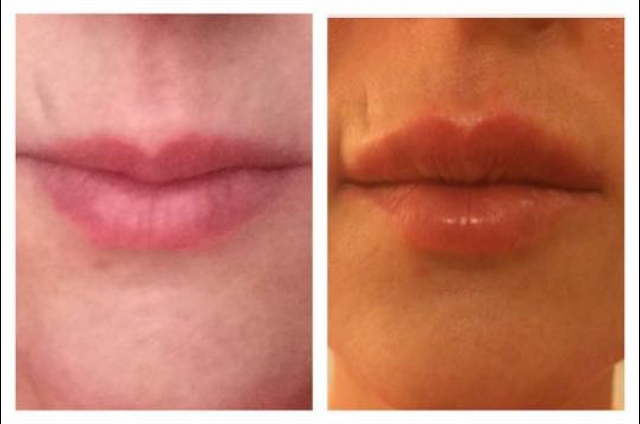 Treatment to the border of the lips provides a crisp,well-defined shape and improves contour and definition. Addressing your lips texture and smoothness results in soft,natural smooth lips. Filling in the lines and wrinkles caused by smoking and pursing yourl ips and enhancing the area above the lips creates a smoother,fresher overall appearance. Unlike other fillers,lip fillers are specifically designed with your lips in mind, and it includes a local anaesthetic for added comfort and best possible treatment experience. Your lips are often the focus of the eye and the centre of attention. Lip Fillers can create fuller lips, accentuate the lip line or create a more defined cupid’s bow to give a natural sensuous look. During your pre-treatment consultation discuss your reasons for seeking treatment, your expectations and how you would like your lips to look. Ask yourself if you feel comfortable with the practitioner. Do you feel that he/she can be trusted and do you feel confident about being treated? Consider a cautious approach to lip enhancement – you can gradually build the effect you wish to achieve with subsequent top up treatments. Check that the practitioner has had specialist training in dermal fillet enhancement injection techniques – ask to see their training certificates.